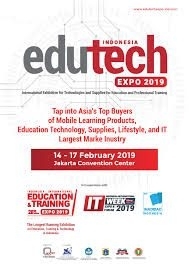 EDUTECH EXPO 2019 education exhibition, Jakarta Convention Center (JCC), February 14-17 2019 together with Indonesia International Education & Training Expo (IIETE), 28th. EDUTECH EXPO 2019 which was held with the support and cooperation of the DKI Jakarta Provincial Education Office and the Indonesian Library of Education and Culture - Ministry of Education and Culture is an exhibition that displays educational products / services / facilities / infrastructure including the procurement of educational laboratory equipment from elementary to tertiary levels. 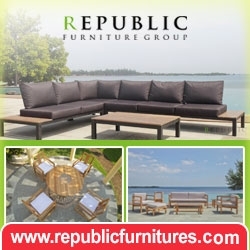 Among these products are computers / laptops, educational teaching aids, interactive whiteboards, projectors, CCTV, internet network providers, educational software and multimedia, and others. EDUTECH EXPO 2019 will be a vehicle for teachers / lecturers, principals, leaders of educational foundations in Jakarta and surrounding areas who will be invited to get to know, learn and improve their knowledge in the field of educational technology. The exhibition will also be a reference for educational foundations / institutions to complete their educational facilities and infrastructure to create an effective and enjoyable educational and learning process. In the exhibition, in collaboration with the DKI Jakarta Provincial Education Office, seminars / workshops will be held that will invite teachers, principals, and leaders of educational foundations, including increasing the ability of Higher Order Thinking Skills (HOTS). In addition, there will also be held the Exchange of Vocational Products, Contests / Games, Demo of Teaching aids / Educational Technology, etc.